Andersen offers an industry-leading, innovative approach to windows and doors by combining an extremely durable and refined extruded aluminium exterior with a traditional and breathtaking wooden interior. High performance wood and aluminium clad wood in contemporary style windows & doors with Near Passive Standard Ratings. All products are custom made to fit clients needs perfectly and perform precisely as designed. High-performance wood and aluminium clad wood in patio door solutions manufactured by Megrame. All products are custom made to fit clients needs perfectly and perform precisely as designed. Bespoke wooden windows and doors designed to match traditional UK and Irish indigenous styles. Can meet most Conservation requirements for historical replication. Bespoke wooden windows and doors manufactured by Megrame to match traditional UK and Irish indigenous styles. Can meet most Conservation requirements for historical replication. Wooden windows and doors manufactured to match traditional UK and Irish indigenous styles. Welcome to Signature Solutions for all your window and door needs. Are you planning to build a new home, add an extension or replace original windows? The Signature Window & Door team can offer you a personalised service dedicated to your project. Are you an architect, builder or professional requiring a glazing package for your commercial project? We can provide you with the perfect solution. 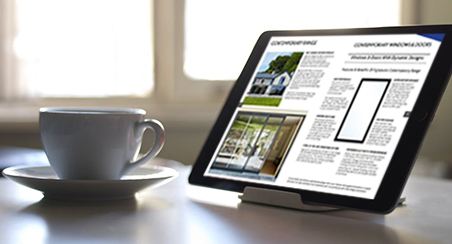 Signature has launched a brand new and exclusive 2019 window & door brochure which features everything you need to know about our bespoke premium products and in-house services. Become inspired by exploring the endless window & door possibilities offered by Signature Windows & Doors.